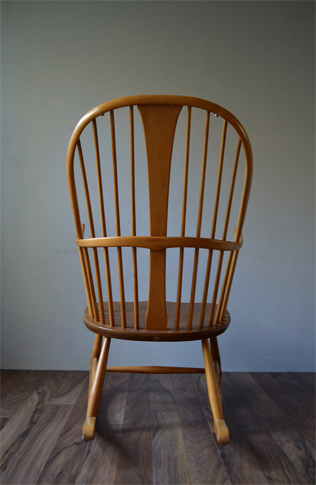 A timeless classic Ercol Chairmakers chair with pleasingly simple modern styling, designed by Lucian Ercolani, founder of Ercol. This elegant design has been in production since its launch in the 1950s. 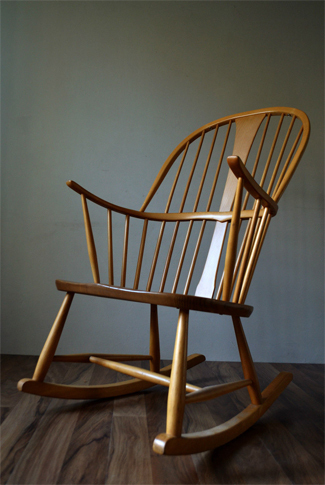 This classic rocking chair encompasses a double bow seat back, central slat and eight turned spindles, all features which are characteristically Ercol. 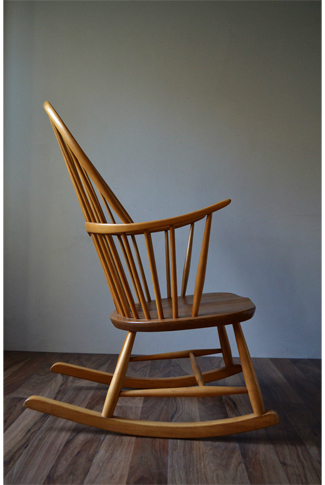 Upward turned armrests extending from the central bow and supported by three spindles provide added comfort. 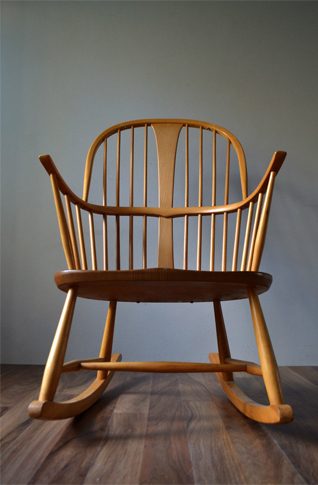 Solid beech legs with solid elm seat in the popular ‘Golden Dawn’ colourway. Very good condition some signs of usage, please refer to photos.